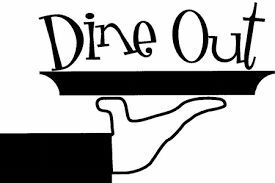 The Dining Out Group is a group of eight who meet monthly to eat together at local resturants. This group is a great way to get to know others at First Cutlerville Christian Church. Groups consist of a mix of couples and singles. The group chooses a restaurant, a date, and time that works for the whole group. New groups are set up three times a year, but you can join anytime by contacting Anne Van Singel. A new signup each time allows you to opt in or out as your schedule permits and to dine with a new mix of people.